Whether you’re looking to repel unwanted attention... or you just like hairy legs, these may be the solution for you. 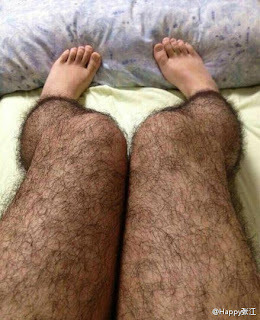 These hairy stockings may be the next up and coming fashion trend – nope, we cannot make this up. Eek! Via.